Yesterday, when I was Christmas shopping I saw this skirt in Marks & Spencer and it somehow fell into my basket, got paid for and is now in my wardrobe - oops! I'm not usually one for outfits for Christmas really because with the boys clothes have to be easy to wear (i.e. quite comfortable and washable) but we are going to someone elses house for Christmas Day this year so there will be NO COOKING for me (a blessing for us all, believe me) so I've decided to make more of an effort. Anyway, long story short I saw this lovely skirt, its all sparkly and christmassy, I'm going to wear it with black tights, boots and a black jumper. It is a bit shorter than I usually wear though, I measured it and its 16 inches but I figured with really black tights it will be OK and my legs are still good for my age (lol). This is a close up of the back zip, I really liked the edging which is the same detail as that of the fake pockets at the front. Ironically when I tried it on, I did it up as a side zip (don't know why) and it didn't quite sit right. I've since realised its a back zip! It looks much better when its sitting straight! I got the size 14 which is what I need for my bottom half but my waist is much smaller than my hips/bottom so things are always a bit big round the waist. However this is a plus because it just means I can eat more dinner and not feel like I need to undo a button or two ... we've all been there, right? Like I mentioned this is a Marks & Spencers skirt, I know it won't be everybodys cup of tea but I liked it. Its from their Limited Collection which I think is marketed at their "younger" customers (not the teenage section but more funky). You'll be interested to know that because I got side tracked by this skirt I now have to fight my way back through the M&S crowds tomorrow to buy my brother-in-law's present which is why I went there in the first place! In other news I'm still battling with the Maybelline 10h lip tint, I have to say its losing (i.e. not staying on for 10 hours) but I am enjoying wearing it, I love the colour and the consistency and the fact that its not sticky, I am really not a fan of sticky lipgloss. Feeling very smug, have just managed to get myself onto Bloglovin' (goodness knows how in this house of chaos, can't think straight, 3 kids shouting and running around), and get a widget on here as well! In other news, I've been testing this Maybelline 10 Hour Lip Tint today. It hasn't lasted 10 hours but I'm going to try it again tomorrow, give it another chance. On the plus side its not sticky (which means that when the wind blows your hair doesn't get stuck in it - always a bonus!) Have added it to my list of things to review properly once Christmas is over. 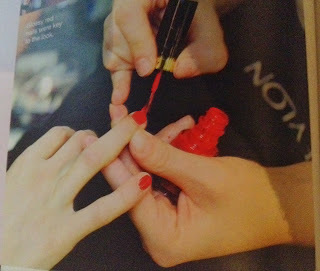 Here's a photo (lovely colour) and a photo of me wearing it too. I've got a cosmetic store on the auction website eBid (a bit like eBay but low or no fees for sellers!) some of the items I have for sale are shown on the Beauty Aware website, there's also a blog and a couple of pages on Christmas (beauty and gifts). In the photo below I'm wearing my favourite Max Factor lipstick "Rosewood" and the wonderful pink Dainty Doll Blusher (thank you Nicola Roberts). We were shopping at thecentreMK in Milton Keynes at the weekend, I bought a new No7 foundation which I've worn every day this week so far, its really good and I'll review it properly next week. Three products tested over the last three weeks for face, hair and hands, enjoy! I don't know about anyone else but once the central heating goes on my hands completely dry out. It doesn't matter that I wear gloves outside and washing up gloves inside when cleaning or washing up but somehow my hands always end up looking 20 years old than I am. Not pretty. Last year they were sore, the skin was cracked and they felt and looked awful. So this year I've decided to start as I mean to go on, I am now on a Soft Hand Scheme which started two weeks ago and will end in about April, when it warms up outside (hopefully). The only soap in the house is moisturising and I went out and bought several handcreams, and I've put a handcream in each room in the house and in all my handbags and in my car and hubbys car too. 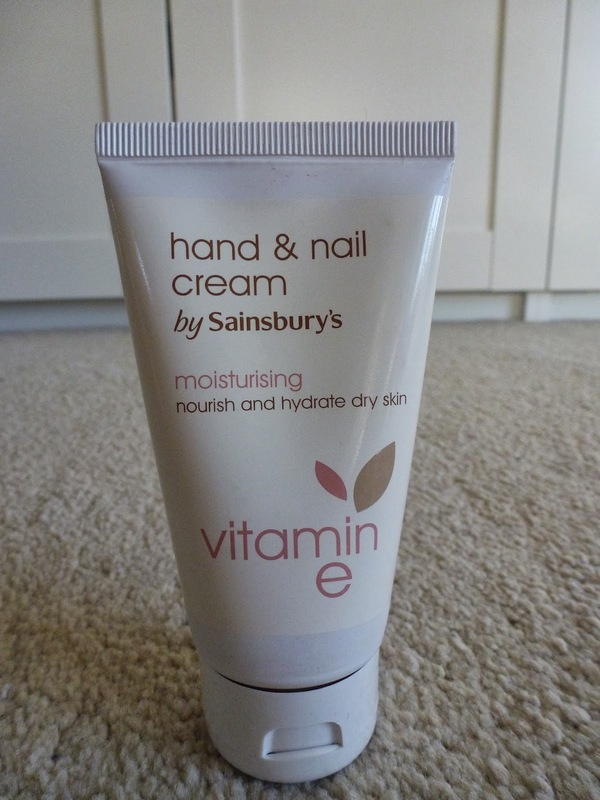 There is NO excuse not to use handcream any more! Of course, I guess we all know that handcreams are much of a muchness, personally I can't bear the greasy ones that take ages to sink in but they are the ones that seem to really help the dry skin aren't they? I never know what to buy even if I read all the reviews in magazines and I've been on the look out for a cream that sinks in quickly, isn't greasy, smells great and instantly softens the skin and guess what? I found one. 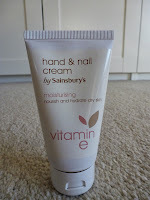 The winner is "Hand & Nail Cream by Sainsburys". Yes, a supermarket brand people, its great. This cream has got Vitamin E in it, the smell is a bit like cocoa butter or vanilla (I can't decide which), but anyway its a warm smell and it lingers too, like a perfume. The cost is just £1.00 for a 75ml tube, when compared with a Vaseline 50ml tube of handcream (although they are always lovely) which costs at least £3.00 so there is quite a saving here too, always a bonus! The next product I'm going to rave about is another supermarket brand - Aldi. Who knew that their Gentle Face Wash Gel was so fab? Seriously. I am usually a Nivea facewash girl, I have been for years but when mine was running out I was doing a supermarket shop and I saw this and thought "why not"? 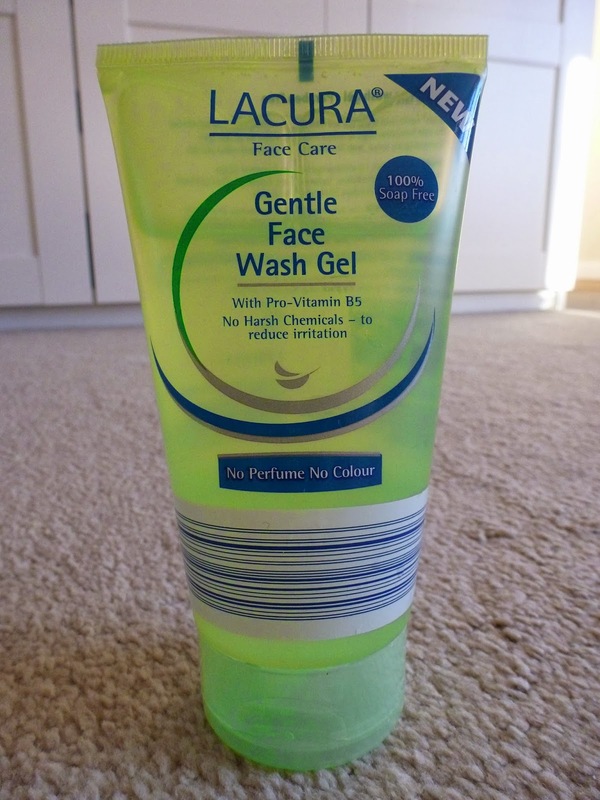 Its called Lacura, which is the Aldi skin care range (they also do moisturisers, eye cream, shower gel etc, none of which I have tried yet), its got Pro-Vitamin B5 in it, its 100% soap free, its not perfumed, not coloured, and its paraben free ... its actually a bit like the Simple range but I think its better and you don't need very much to wash your face either so it lasts a long time. It also gets rid of make up brilliantly (I'm talking every day make up, not sure how it would fare with waterproof mascara, I'll try it). Again, the price is right, 150ml (pictured on right) costs just £1.29, considerably less than the £3.59 I usually pay for Nivea Daily Essentials Face Wash Gel. Incidentally, I should say that my Mum has been championing Lacura for ages, I'm just off to ring her to tell her she was right! 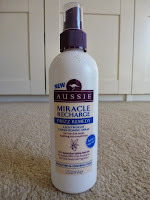 new Aussie product does do what it says on the label! 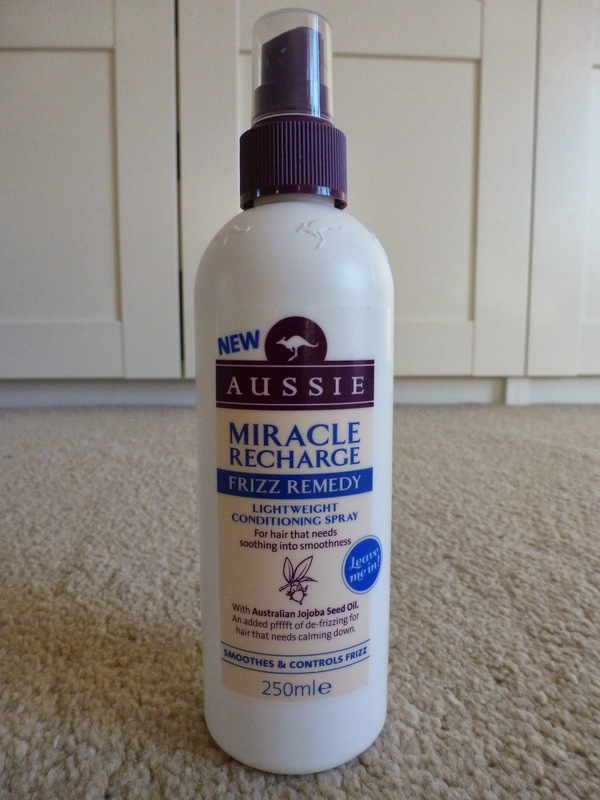 It can be used on wet or dry hair (though I've only tried wet so far) it gets the tangles out immediately and smells lovely, my 4 year old asked me what my new perfume was, bless him. I didn't put any other product on my hair, just dried it on a mid heat setting, ran my barrel heated hairbrush round the ends and that was it, as well as helping frizz it also acts as heat protection so you can use curling tongs/straightners without feeling guilty about doing bad things to your hair! I did two damp/wet school runs at either end of the day and only minimal frizz! So this product can definitely be recommended. The cost is £4.49 for 250ml (pictured right). This week its half term so I've been doing quite a lot of magazine catching up whilst the boys are off school. They've been whizzing about here there and everywhere and I've been catching up with Grazia, New Woman, Good Housekeeping and more. I've just realised we are now almost at the end of October, which means ... its nearly winter! And, there are "however many" weeks/days until Christmas so my children tell me (but I'm ignoring it until I have to deal with it). So, as I looked at my dressing table on Monday morning, in its usual higgledy piggledy state I thought I'd better make an effort with my make up, Monday morning was what I call a "pyjama day" where you want to stay in your PJ's all day and not go out, it was raining and very dark, so dark in fact, that I had to put my little make up light on and made a mental note not to overdo the blusher for fear of ending up a bit too pink when I went outside! This has happened to me before and I end up furiously scrubbing it off my face guided by the rear view mirror in the car! 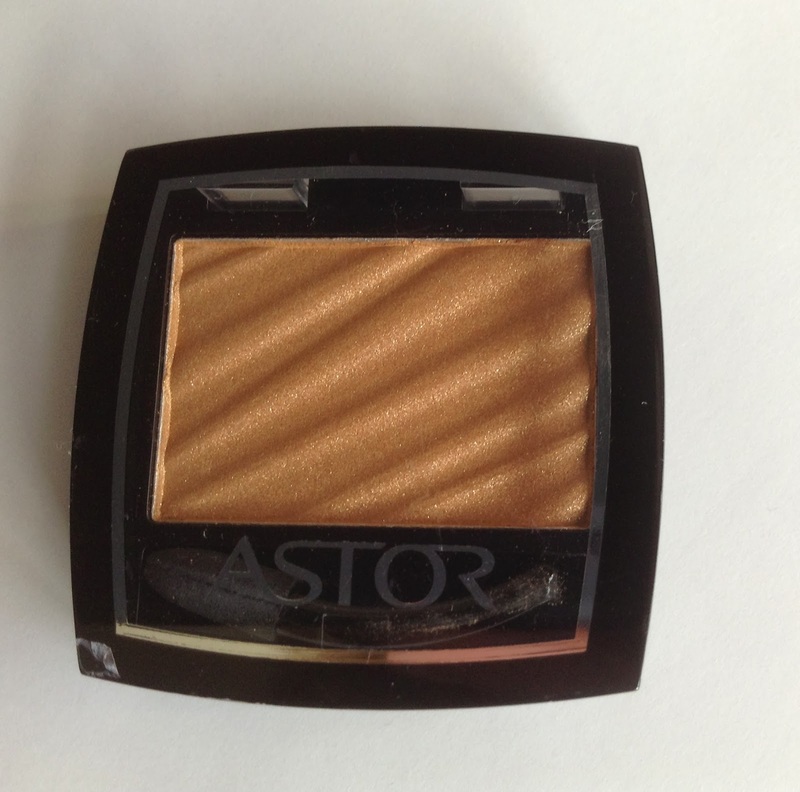 I chose an autumnal eye colour, Astor Gold and brown/black mascara and a black/brown liner. 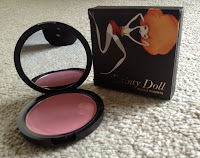 I put my faithful Dainty Doll by Nicola Roberts blush on (which is like a little bit of springtime on your face) and then had to ponder, which lipstick? Lipstick was definitely required, face too pale and tired to leave the house without it, but which one? The magazines I've been reading have been raving about winter berry colours, which I've been excited about for weeks because I love those deep colours but my favourite Olay one was discontinued years ago and I've failed every time I've tried to replace it. After much rummaging in various make up bags I found a Rimmel London long lasting lipstick, called Drop of Sherry so I popped that one on. With this lipstick, as well as being a lovely rich colour it is also long lasting and moisturising and tastes a bit like almonds. I'm not really sure why it was squirreled away in an old make up bag but I am glad I found it, it'll be at the easily available on my messy dressing table for the rest of the winter. 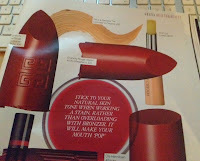 I've realised you can't go wrong with Rimmel London, the range, the colours, the cost, its pretty fantastic actually. Plus, they always have fabulous adverts and very well known models wearing the brand, if its good enough for Kate Moss then its good enough for me! I "liked" their facebook page the other day and even their posts that come through on my newsfeed are entertaining. 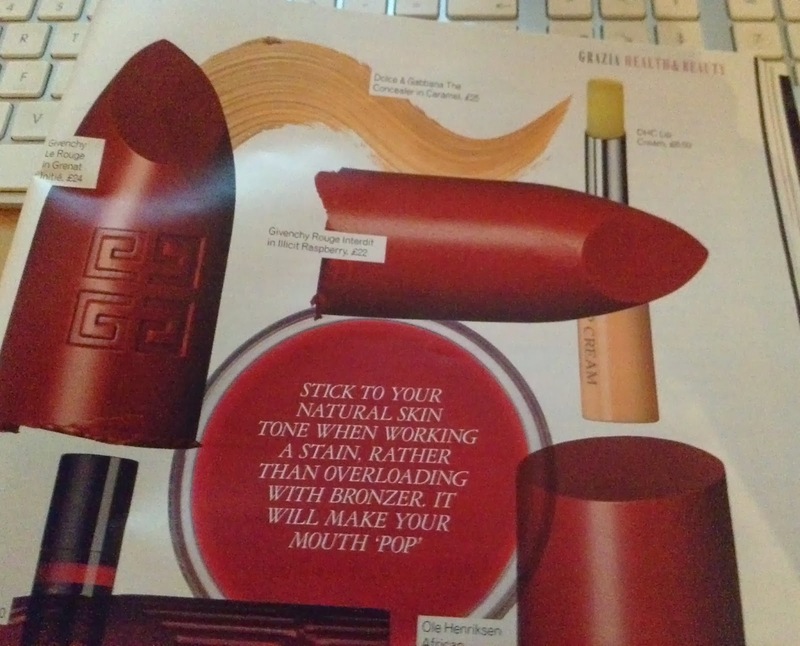 Anyway, I've been wearing Drop of Sherry every day since Monday but I am going to try some of the other berry colours that Grazia magazine and others are recommending. So watch this space for another berry review. I also have three little boys, a husband and a dog so I work from home and somehow cram it in amongst the school runs and all the other things I have to do, but I love it. 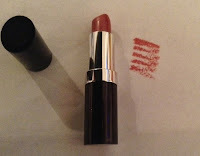 I have always loved beauty products and make up and even moreso now that I am in a house full of males (even the dog is a boy), the guys are great but they really aren't interested in talking about blusher or the latest lippie from Rimmel, its more Lego, Power Rangers or Peppa Pig for the kids and rugby for my husband. They can't see why I get excited about blusher (bought a Dainty Doll blusher the other day, like a little piece of springtime on your cheeks) luckily I have two sisters who are equally as happy as me to talk about cosmetics for hours on end, they are also my testers for my online store items, so they are getting quite a few freebies at the moment, happy girls! I've been thinking a lot about how make up makes me feel recently, because I've been poorly with an ear infection and felt awful and spent days being pale and washed out because I couldn't be bothered to put my face on. Tonight it was parents evening so I put my five minute face on (concealer, moisturising foundation, mascara, blusher, lipstick) and even though I still felt pretty rough, I did feel as if I could take on the world, or, in this case, the Year 1 and Year 4 teachers. When I got home I realised that my pale cheeks were showing through the blusher and my mascara could have done with another coat but it didn't matter, at the point where I needed to feel confident it worked, met teachers, got my point across, stood my ground, the end. Now, I'm about to take it all off, get in my pj's and read Grazia, quite apart from the article on Angelina Jolie and her wedding there's a lot about winter make up, apparently berry brights are in, which I'm thrilled about, I love those colours. 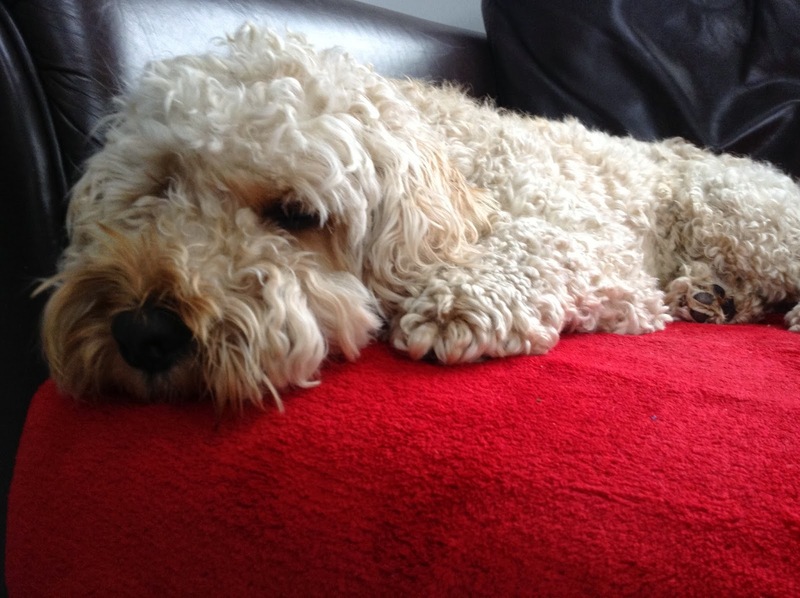 So for now its goodnight from me, and goodnight from Boo who is asleep on the sofa, better move him to his basket!